Thanks for visiting the sale page on arty website www.sophiehuddlestone.com Collectable paintings by U.K. 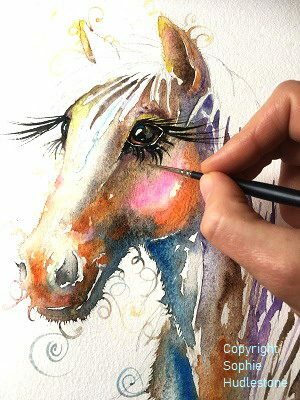 Artist Sophie Huddlestone. Themes of animals. flowers, people and landscapes. I’d like to thank all the lovely customers for enabling me to continue with a painting career because one off hand painted artworks are my passion. 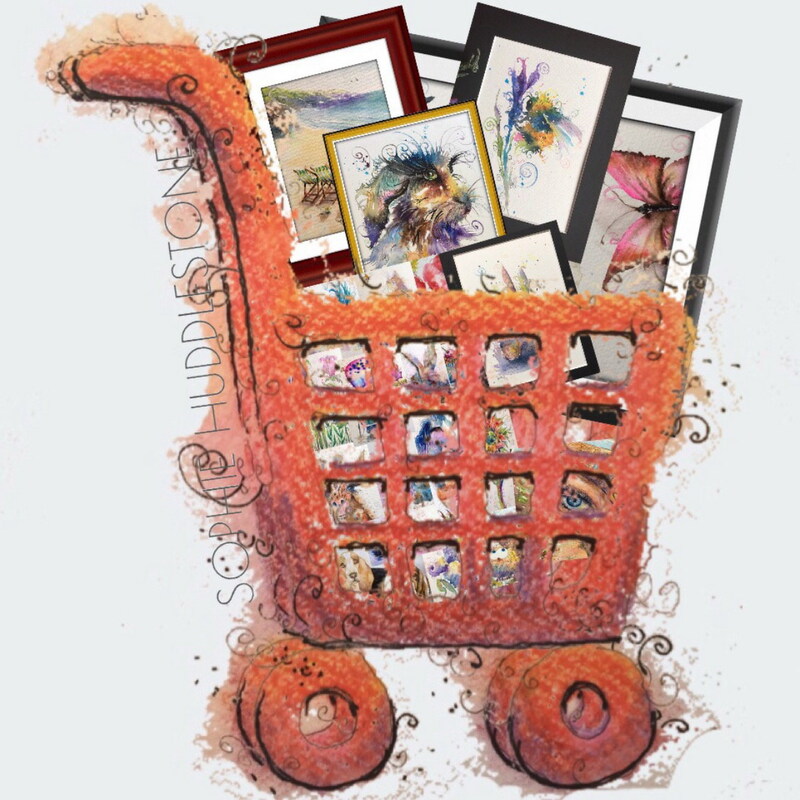 What art is for SALE by Artist Sophie Huddlestone? Also a portraits page for you to see past examples before ordering a portrait commission, and you can also read about the unusual twists in the portraits that are currently for sale. View examples of past pet commission paintings while you consider ordering one of your own fluffy family member. 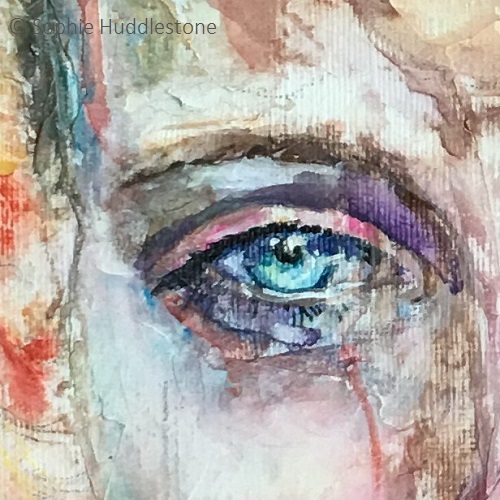 You could own a Sophie Huddlestone painting or print but the full copyrights of all my art and images remain with myself, the artist, Sophie Huddlestone. I do not permit any person or entity to print, copy or replicate my art in any way, physical or virtual form. Any sale priced paintings will also be in the shop (on the main menu above). 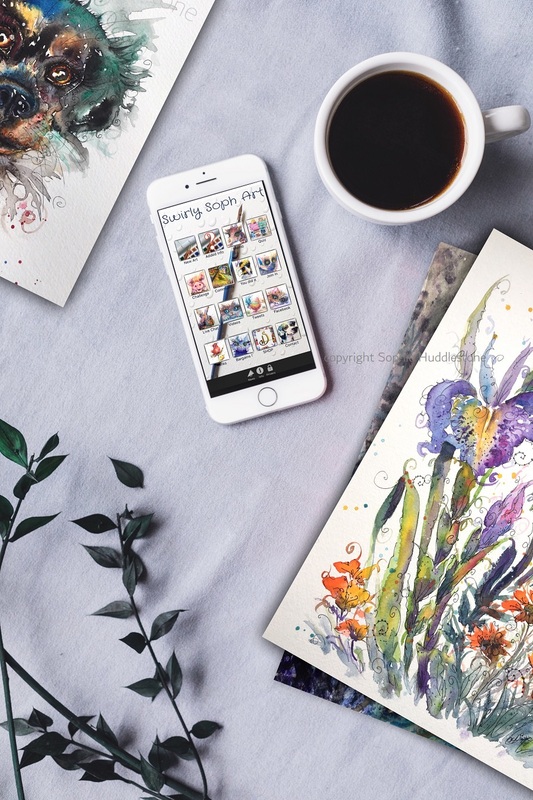 My Artists phone app called Swirly Soph Art sometimes has discount codes in its Bargains section. 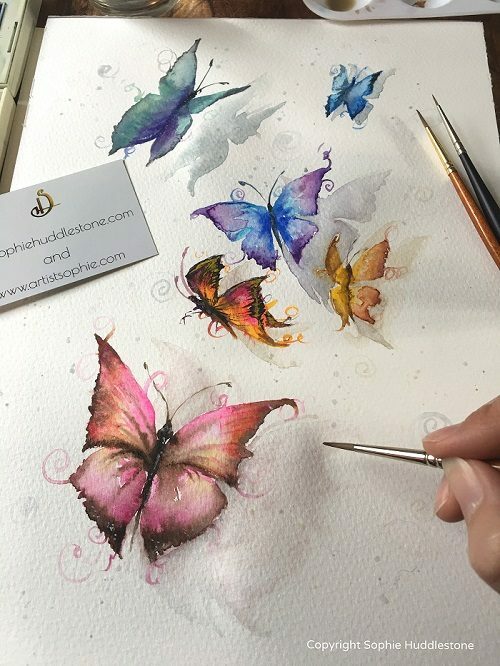 Originals – My true passion lies with painting one off originals. Keep your eye on my BLOG to see what I am painting right now and the process behind these new artworks. Navigate to ‘Artist Sophie’ blog via the main menu at the top. When completed these paintings may soon be added to my shop. More details are on the contact page (main menu at the top). See what I am up to on social media and join me for a chin wag. 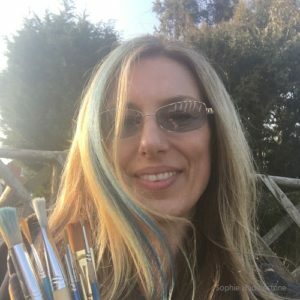 Lots of customers, art lovers and other artists stay in contact with me and each other on social media by commenting on posts and sharing opinions. Examples of more ‘About’ and informational pages on this website. Please pass on my details if you think a friend may be interested too, very kind of you.